you have to say: fine work! The most gentle temptation since the invention of occasional furniture. 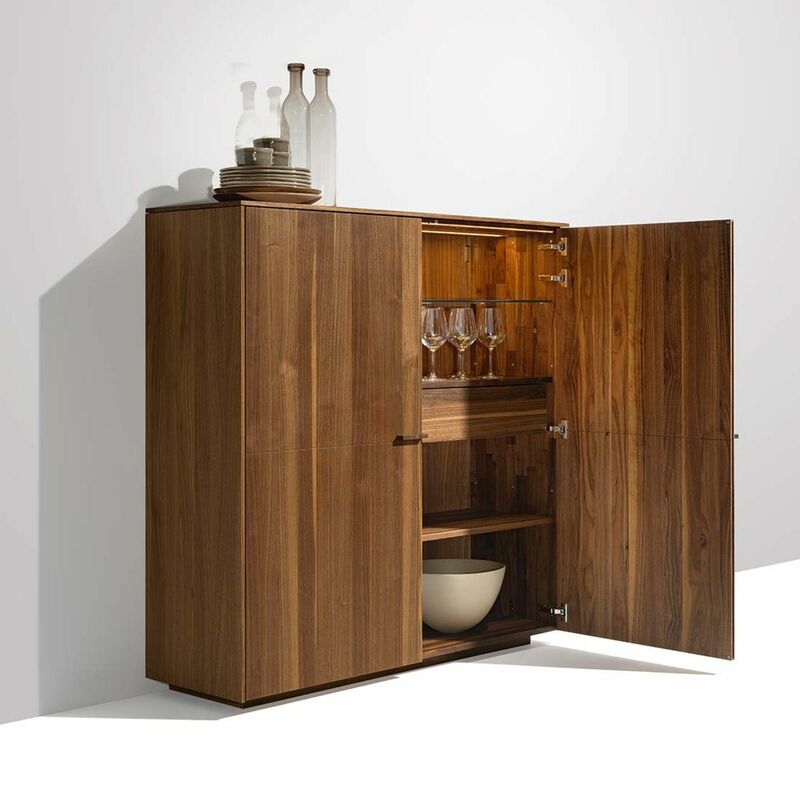 A characteristic feature of our filigno occasional furniture is the delicate casing of genuine solid wood which is elegantly refined with corner details. 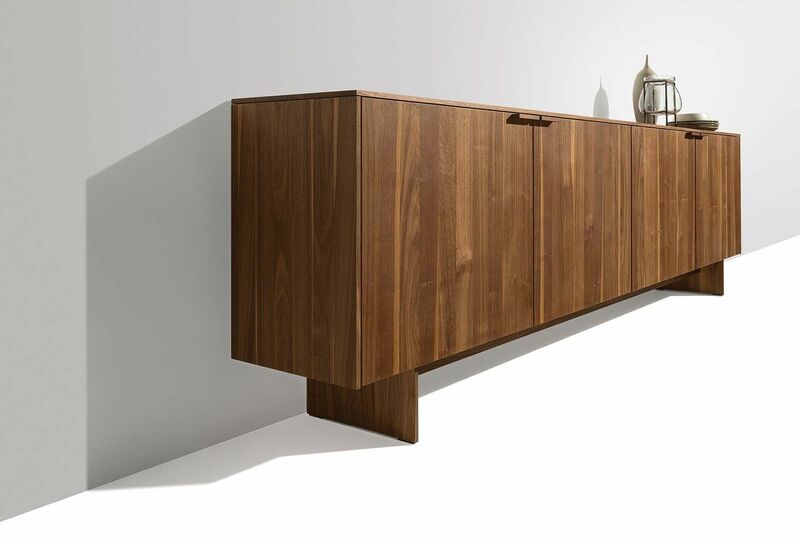 filigno sideboards and highboards are also available, with drawers, and hinged or sliding doors, with or without additional design elements. For the fronts, there is a choice of solid wood, coloured glass or ceramic. On the wooden fronts, a practical wooden handle ensures comfortable handling. 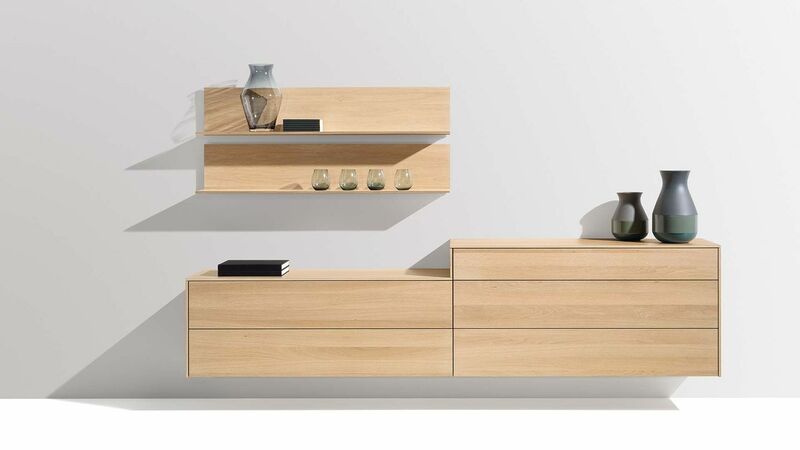 There is also a choice of options for the base: stylish wood panels, elegant cubus pure slides, or a recessed plinth. 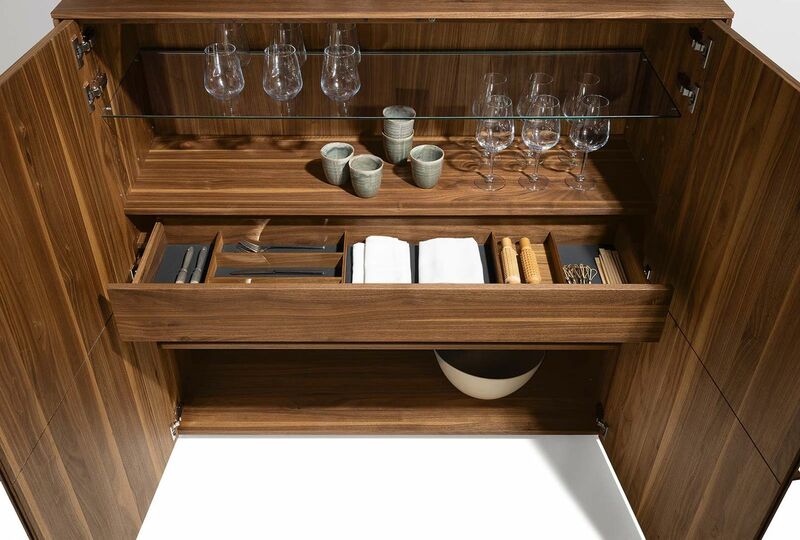 filigno highboards can be fitted with functional interiors for glasses and small devices, including a three-fold socket. Both interiors are fitted with LED lighting, either in cold or warm white lighting colour according to taste. 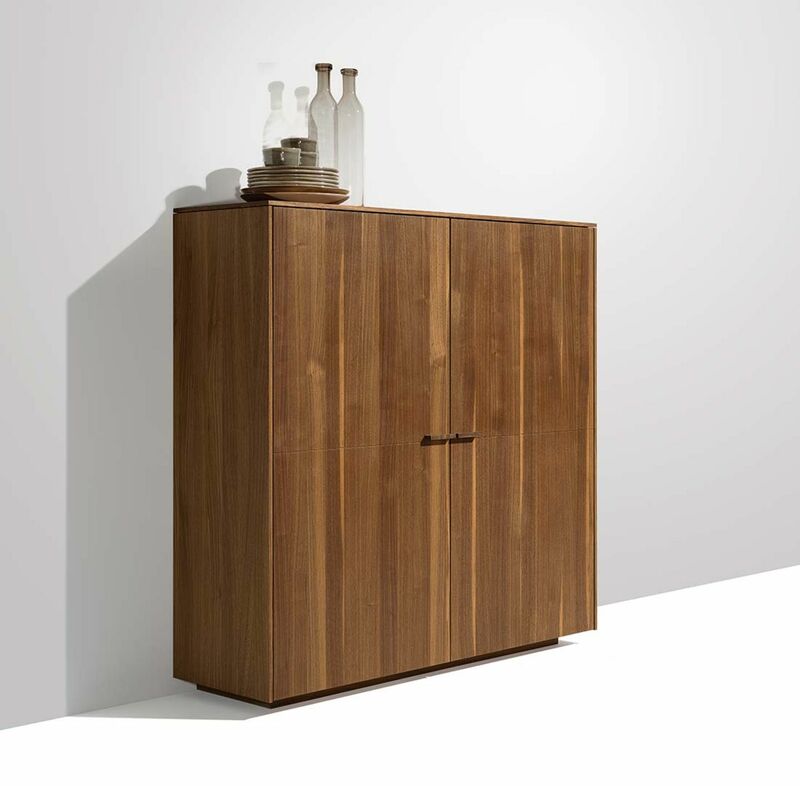 The top board and sides of the filigno occasional furniture are made of solid wood panels that are only 12 mm thick, manufactured with the latest 3-layer technology. This gives them an enormous stability despite being so thin. An end-grained edgeband underlines the high level of handicraft work and the quality of its construction.